I’ve praised this site before; it’s on my blogroll under Random Pleasures. 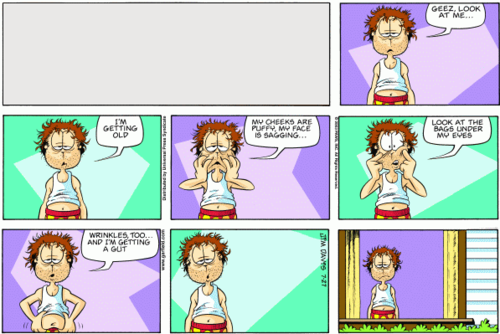 Before Dan Walsh hit upon the idea of removing Garfield from these comics, I found them utterly useless and unfunny. But now there’s something entirely different, and deeper, going on. This post is just a reminder. I shared my love for Garfield Minus Garfield a while back. Here’s today’s post-meta-existential shot over the bow from Jon Arbuckle. I guess I’m someone who doesn’t love getting older . . . I strongly urge you to check it out — a comic that would cause Jean Paul Sartre to cachinnate. And for the record, I’ve never, ever liked Garfield. This web sensation has gotten a lot of much-deserved press recently, here and here and here, plus there’s also going to be a book (and I totally want it)!